The Hitech 4 x 4" UV 1A Skylight Filter is a general use filter with a slight pink tint to help improve overall color accuracy and clarity. The light pink coloration helps to reduce the overall bluish cast of daylight and is especially effective when photographing landscapes and in shade. The filter measures 4 x 4" / 101.6 x 101.6. It is compatible with the Cokin Z-Pro filter holder. 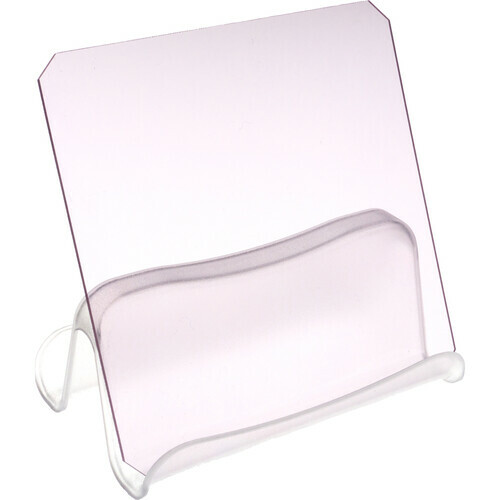 The filter measures 4 x 4" / 101.6 x 101.6mm and is constructed from specially dyed CR-39 resin.